Well made robust lock. Fits on the bike disc easily and the bright yellow helps it stand out. I also use a bright yellow stretch cable to remind me its on. Glad I bought this and at very good price from SBS. I agree with all of the positive reviews. Reason why this isn't 5 stars for a disk lock IMO is that you need the key to lock it. Which is a bit inconvenient and slows you down. 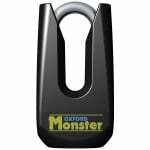 Fits under my seat when not in use, seems sturdy, the key is very sharp that it comes with and can pull on the mesh lining of my Klim pockets so need to be careful with that. 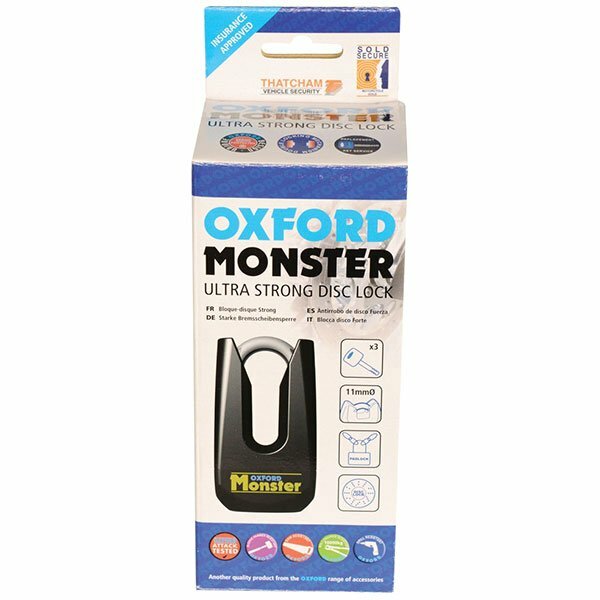 I was a tad worried it may have been on the heavy side to keep in my tail but it's light and compact enough and feels really solid and secure enough for piece of mind...It is on the more expensive side of disc locks but you get what you pay for I guess....quality product. Solid, good size, good deterrent. 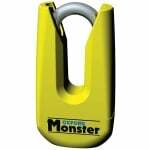 Nice visible strong lock - hopefully never needed, but looks like it would deter anyone. Great price and service. Big, heavy and will definitely put up a fight for any would be thieves. 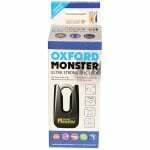 Oxford offer a range of security products which have been tested and approved to various international security standards. Motorcycle theft remains a growing problem, both in the UK and abroad. Every year more motorcycles are stolen, more motorcyclists are disappointed and inconvenienced and even more is spent on anti-theft insurance policies. (No longer includes pouch or reminder). Established in 1973, Oxford is now one of the world's leading suppliers of products to the two-wheeled industry. From its base in Oxfordshire, the company distributes to over 75 partners worldwide and has its own subsidiary in Jacksonville, Florida, serving both North and South America. Its huge range of products encompasses everything which makes life on bikes better; from clothing and helmets to accessories, hard parts, locks and luggage and more! What is the overall size of the lock length x width and will it fit in jacket pocket? Unfortunately as this is a universal product we are not able to advise on specific bike fitments. Will this fit a Suzuki GSXR K7? 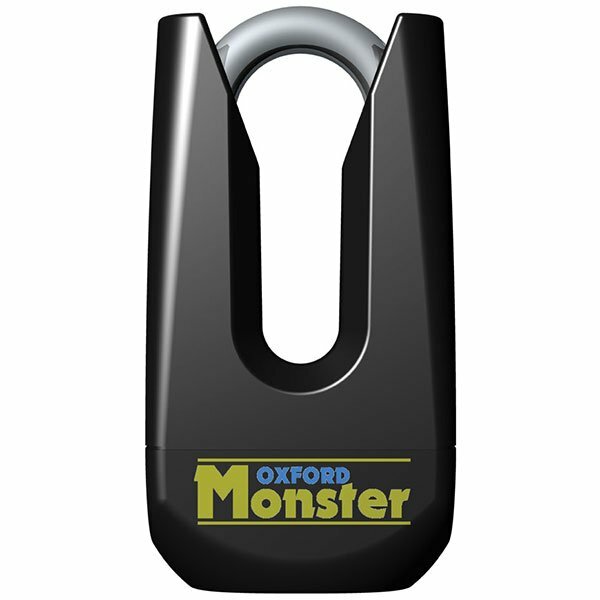 The Oxford Monster Disc Lock has a shackle width of 11mm. 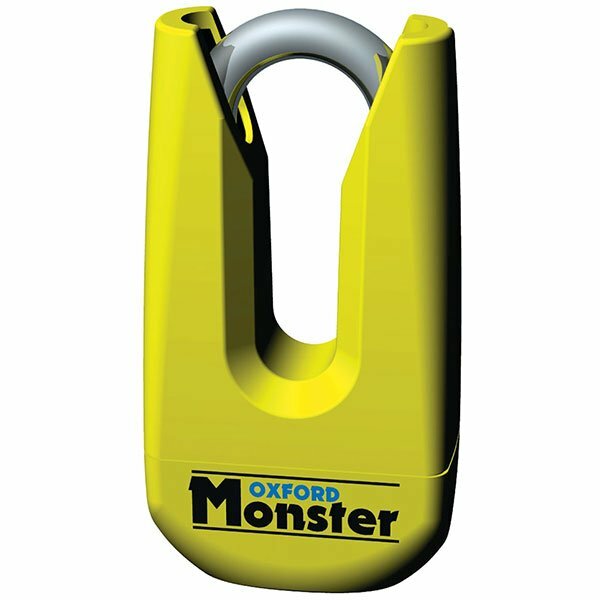 The distance between the underside of the shackle (U shaped piece)and the top of the lock is approximately 70mm. You will need to measure the fitting area on your disc in order to check that the lock will fit. Will this product fit the disc on my Sym joyride 125cc scooter?